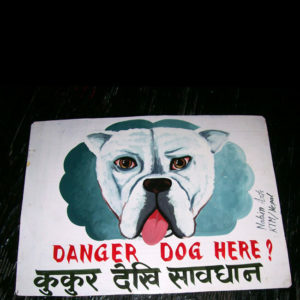 These Bulldogs are hand painted on metal by Nepali signboard artists. 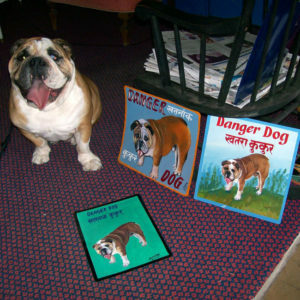 Brocco the English Bull Dog is surrounded by his portraits. 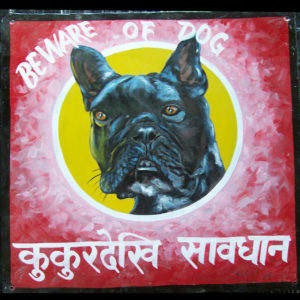 His companion chose the portrait by Baba. 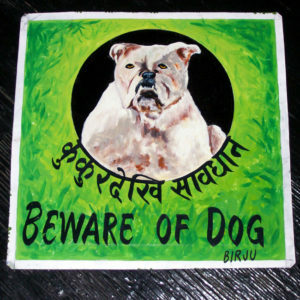 This portrait of Laverne the Bulldog is from Birju’s studio. 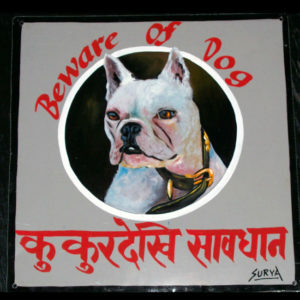 I believe that Sagar may have painted this one. 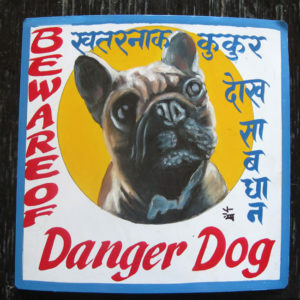 I took a photo of a sweet Bull dog at a garage sale and gave it to Megh Raj. This is the happy result. That was a nice dog. Nabin is my cartoon like artist. 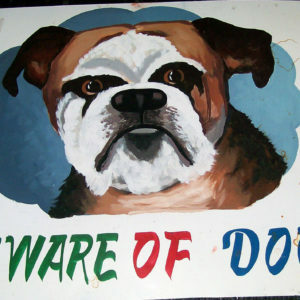 His beware of Bull Dog signs are 15’x12′. 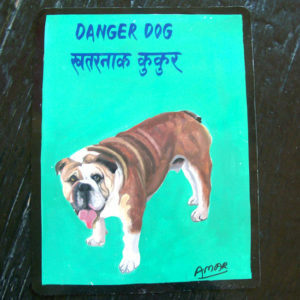 This is one of my all time favorites of the famous Bulldog Mick Jagger by Punam. 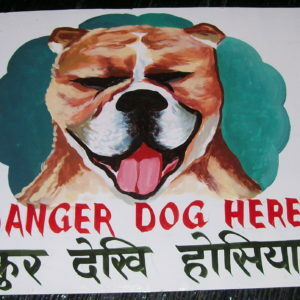 Jack the English Bulldog and his Beware of Bull Dog sign by Sagar. 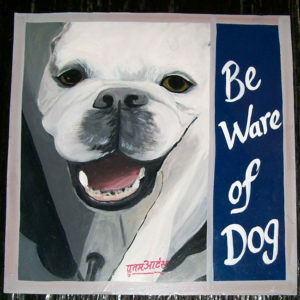 Brocco the English Bulldog by Amar is 12 inches tall by 8 inches wide and bordered in black. 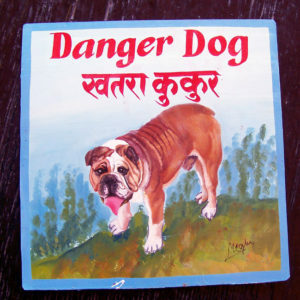 Brocco the English Bulldog frolics in the mountains in this portrait by Megh Raj Thapa. 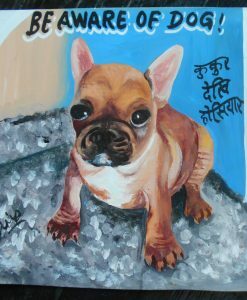 Cash the French Bull Dog is painted by Pulkit of Nepal Arts. There is some minor scratching on this piece, hence it is discounted. 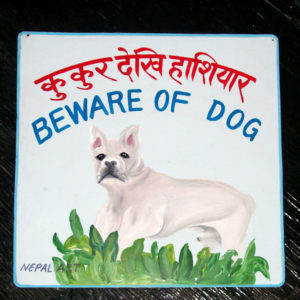 This French Bull Dog was hand painted by NK, who works in Beni, the capital of the Myagdi district in Nepal. 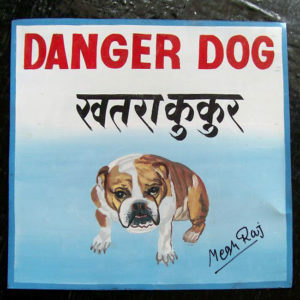 I’ll just assume that this dog looks nothing like this in person! 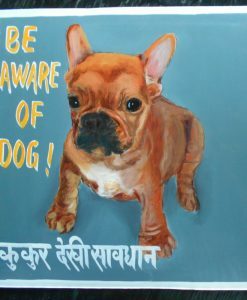 This portrait of a French Bulldog has to be seen to be believed. One of my all time favorites, the detail in the eyes, collar and the composition make this one special. 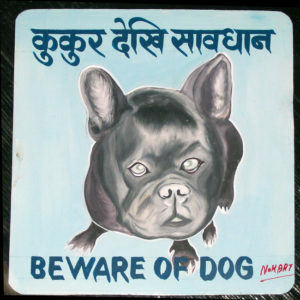 Aubert the French Bull Dog as painted by Sagar.